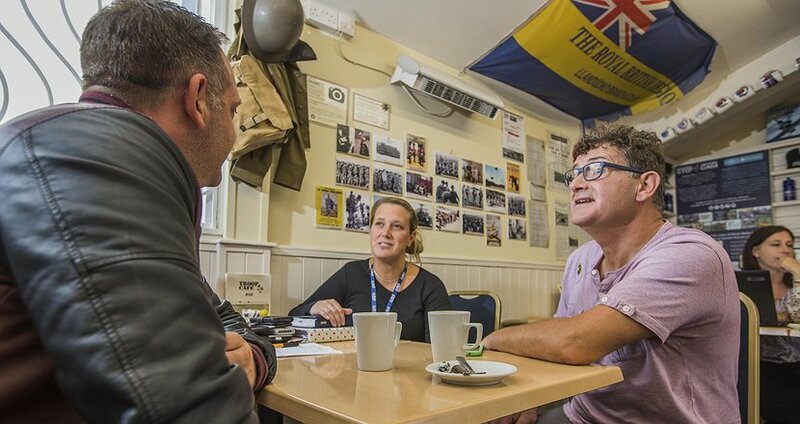 Our Llandudno community veterans' hub offers a dedicated space for members of the ex-services community, affordable and quality light bites, cakes and drinks, and a range of catering training, work experience and volunteering opportunities. 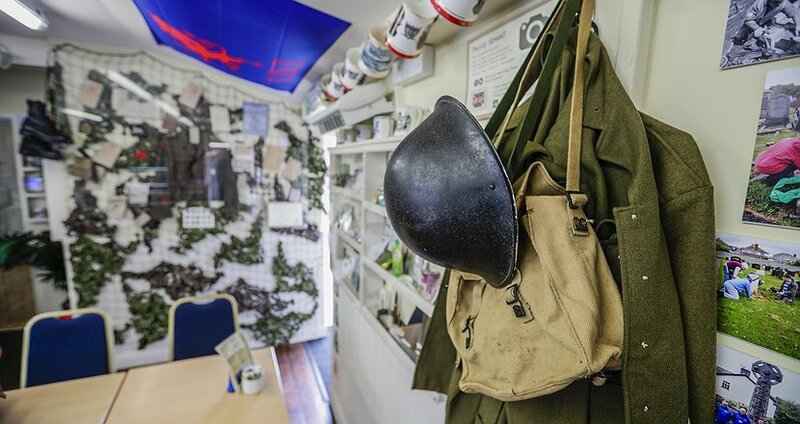 The premises, on Mostyn Broadway coachpark, showcase lots of Armed Forces memorabilia and materials from years gone by — pop in for a brew and something tasty to eat and see what you can remember! Troop Café is open between 10.30am and 6pm on Thursdays, Fridays and Saturdays, and for other special events during the summer. 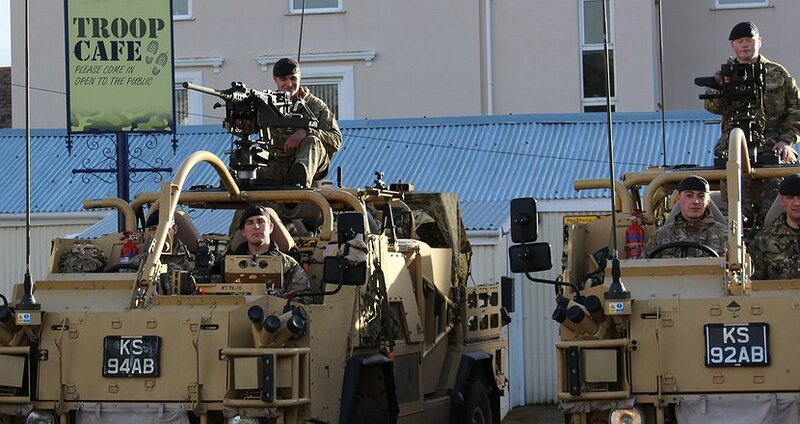 We work with other agencies and charitable bodies — like the Royal British Legion, Age Connects and PRIME Cymru — to deliver great events, activites, information and engagement sessions for veterans and other groups in the local community. 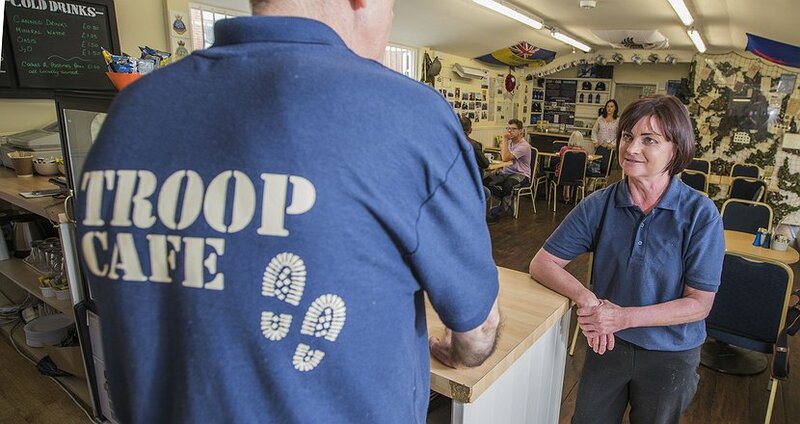 Troop Café also hosts a weekly drop-in session for Change Step, where former members of the forces can connect with one another in a social environment and access peer mentoring support and advice on employment, housing, benefits and other issues. We take pride in helping to take people furthest from the jobs market into employment through dedicated training programmes and volunteering opportunities. Our trainees work with alongside our team and partners to gain new qualificiations in catering and hospitality, boost their confidence, and get ready for work. So far, we've worked with more than 100 people — helping them collect approaching 200 qualifications, and assisting dozens into new jobs. We’re part of the award-winning CAIS Social Enterprises, and are proud to trade in one of a small number of places across the country to have been recognised by Social Enterprise UK for their commitment to the sector. Any surplus generated by CAIS Social Enterprieses is reinvested in the valuable work of CAIS, a registered charity and third sector service provider which empowers people who are having problems with addiction, adverse mental health, unemployment, offending and other life challenges to make positive lifestyle changes. 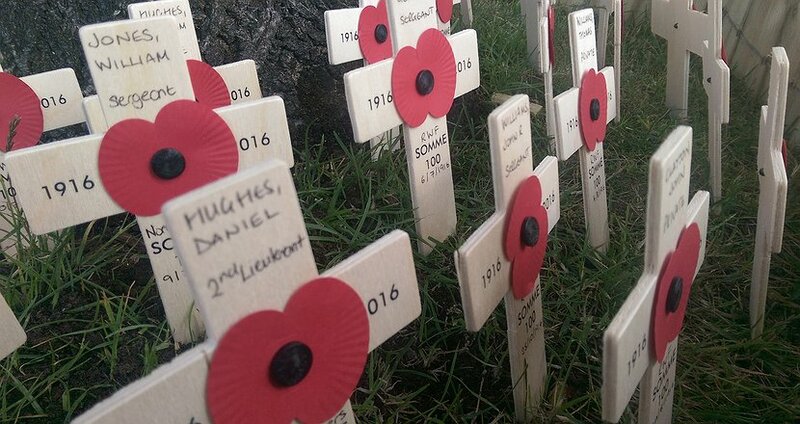 We're only too pleased to have a chat — so please feel free to get in touch!